Firefighters are some of the most important people in any and every town. As the first responders to the most dangerous and life threatening situations, they’re the heroes that should be on the covers of magazines, comic books and newspapers. They’re that important. But, while the brave men and women that risk their lives on a daily basis to protect our assets, who is out there to protect theirs? 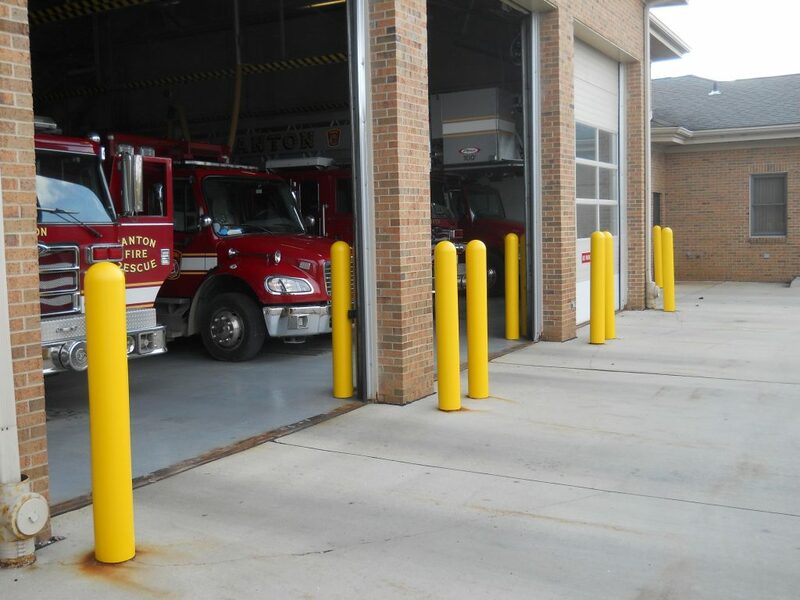 Ideal Shield’s decorative bollard covers at a fire station in Milford, MI. 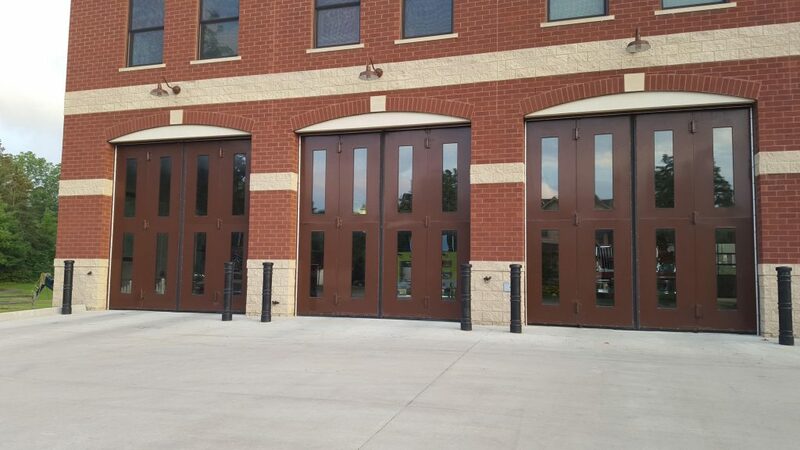 At Ideal Shield, we pride ourselves on helping improve the protection and look of fire stations all around the country. Our wide array maintenance-free facility protection products will increase station protection while also improving the look and feel for both firefighters and the local community. 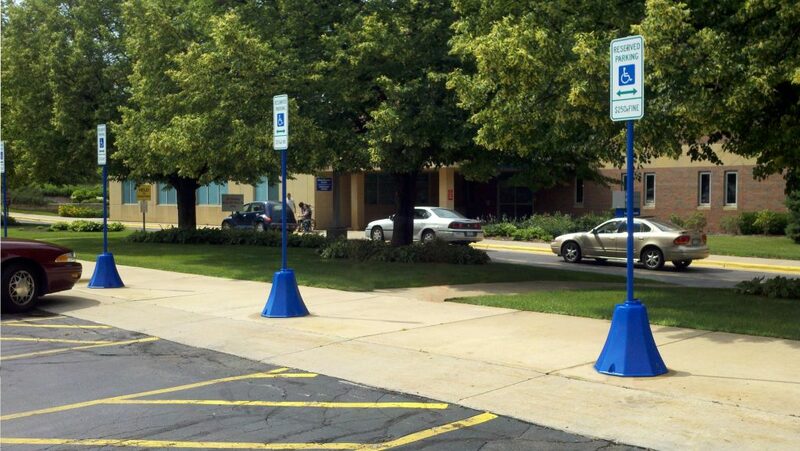 Protect the exterior of the building with our schedule 40 and schedule 80 steel pipe bollards. 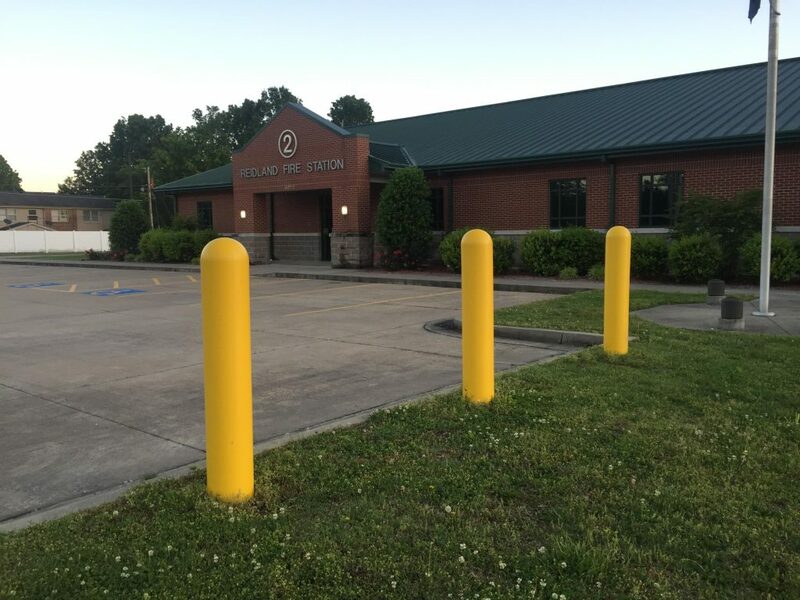 These steel posts can be placed as close as possible around the station to protect both civilian vehicles and the station’s vehicles from accidents up against the building. But leaving them raw or just painted won’t be a good look. That’s where our original, industry leading bollard covers come into play. 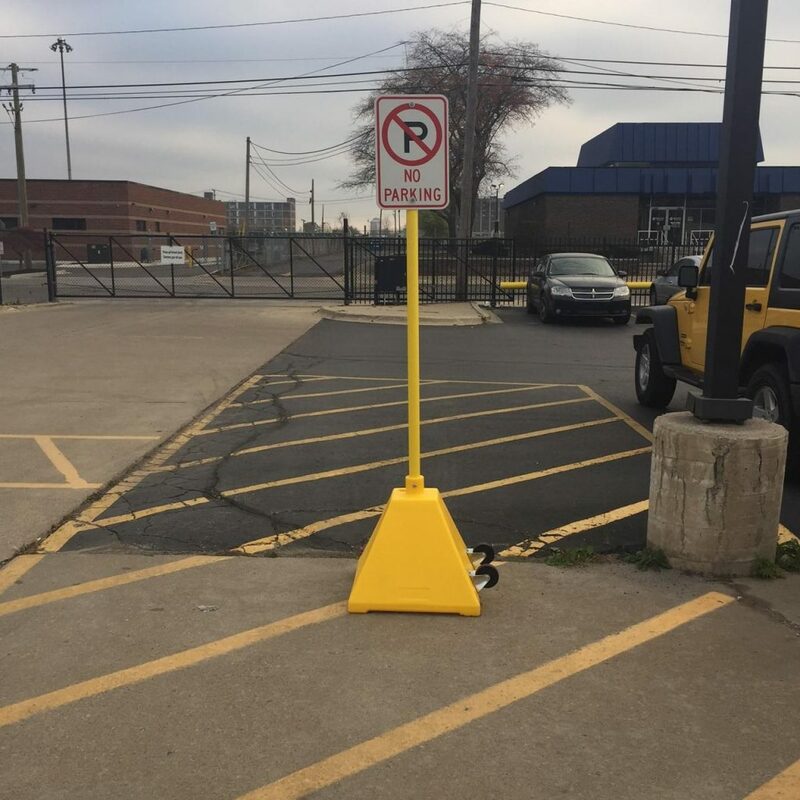 From safety yellow to a custom color to fit the look of the station itself, our bollard covers are customizable and made from HDPE plastic. That means no more painting, no maintenance and less damage to be done when vehicles bump up against the bollards. 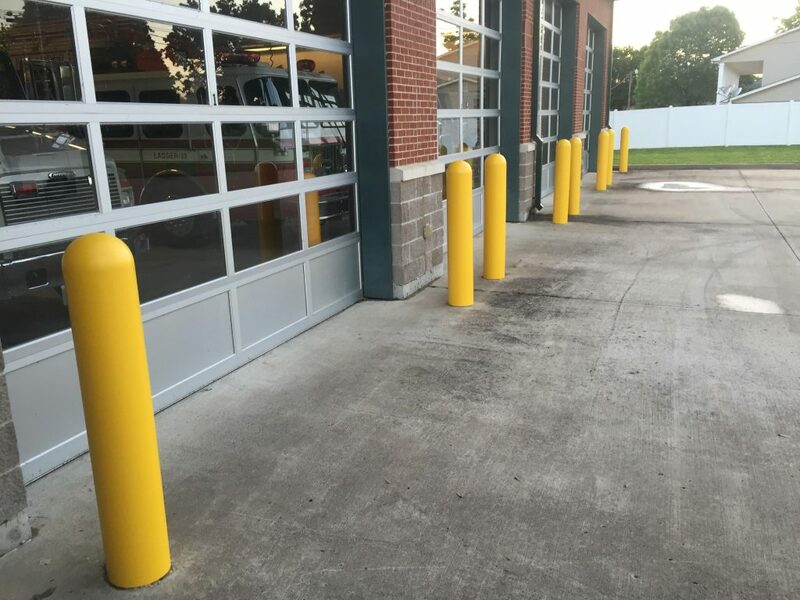 Ideal Shield’s plastic bollard covers at fire station in Canton, MI. Bollard covers are a great way to improved protection and appeal but if you’re looking to really catch the eye of the public, our AdShield’s are the perfect option. 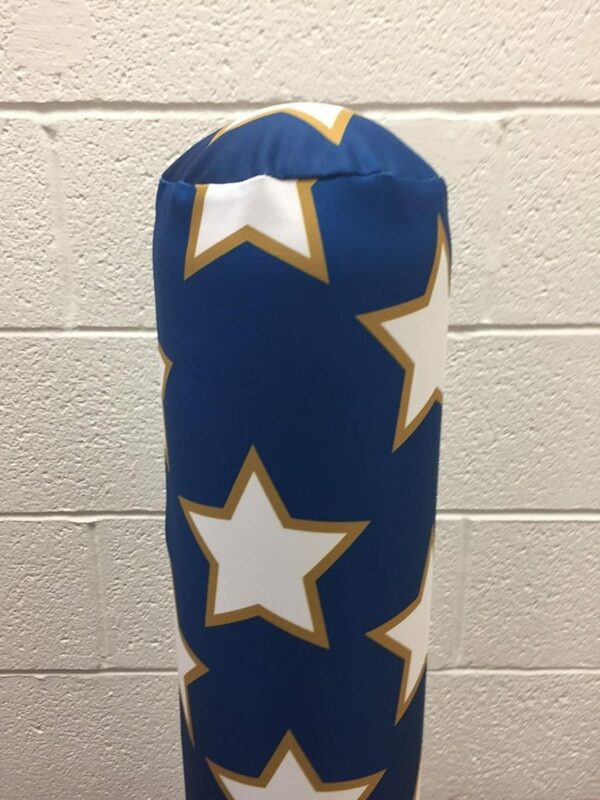 Available in stars and stripes, stripes or hearts and love, these fabric sleeves will allow fire stations to show off its patriotism, holiday spirit and/or kindness throughout the year. Ideal Shield’s AdShield bollard cover sleeves. 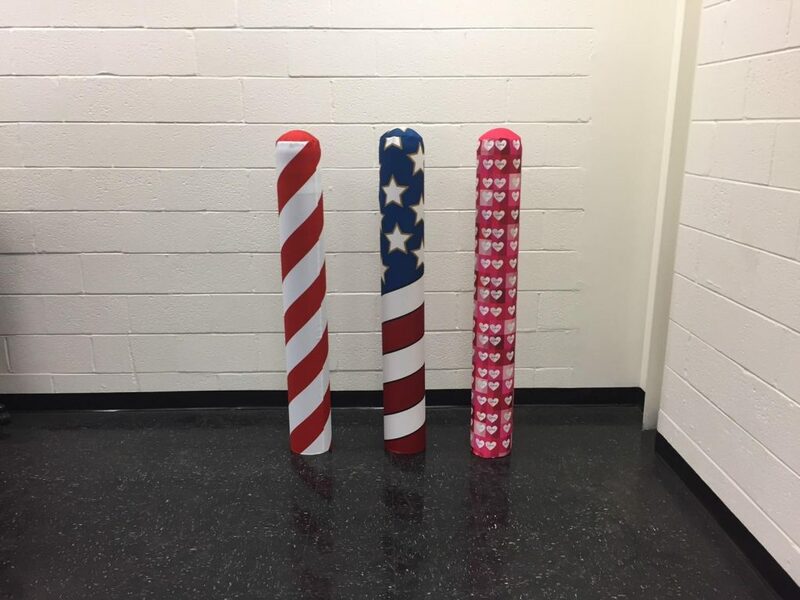 American flag AdShield bollard cover from Ideal Shield. While our standard bollard covers look great and aesthetically improve any location the covers are installed, our decorative bollard covers can improve the look and feel of any fire station even more. Choose from our large collection of decorative bollards, including the Paramount, Metro and, even, lighted options (both UV and hardwired), to give your fire department a strong but upscale appearance. 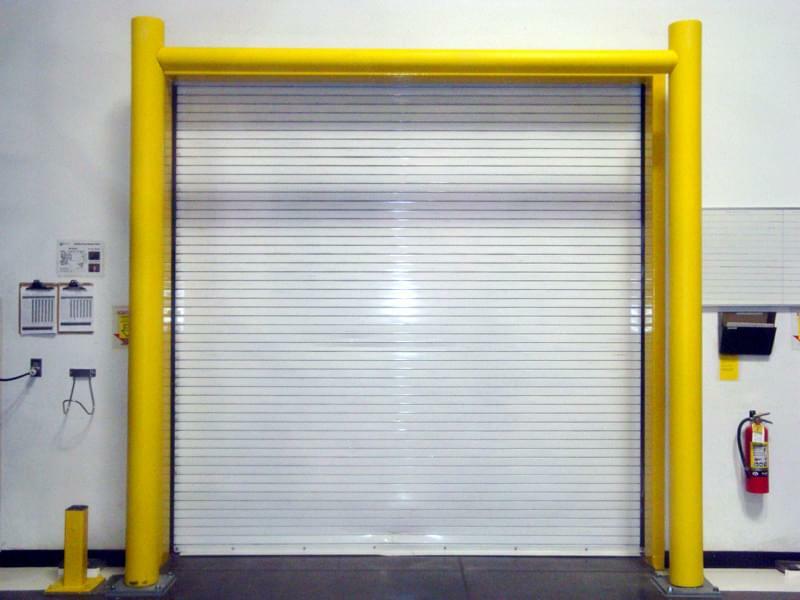 If you’re looking for some more protection around the interior of the garage, our garage door goal posts are the perfect option. Made from schedule 40 and schedule 80 steel pipe wrapped in our HDPE plastic, this heavy-duty goal post is custom built to fit the exact dimensional needs and will deflect and protect station garage doors from the fire engine or any other vehicle from pulling out of the station. 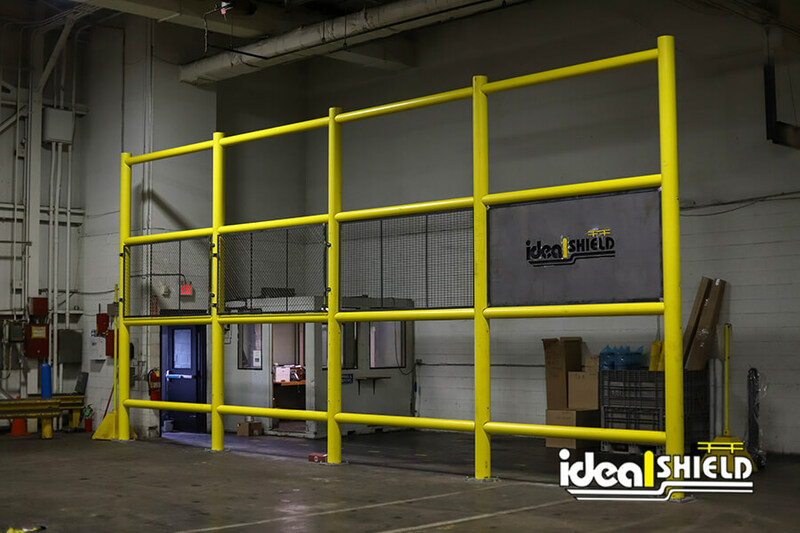 Ideal Shield’s dock door and garage door protective goal posts. Our lightweight, plastic sign base options come in both portable and permanent options so fire fighters can use them at both the station and on calls, if necessary. The permanent plastic sign bases can be used around the station for any signage needs, including in the parking lot, inside the station, or even near the road to warn civilians of the possibility of the engine leaving the station. Ideal Shield’s permanent plastic octagon sign bases. As for the portable plastic sign bases, these lightweight products can be loaded into a truck and taken to events and even on-calls to improve or install signage at the scene of an accident to aware or direct pedestrians. Firefighters put their lives on the line everyday to protect the community from disasters. The least we can do is produce a product that helps make their home fire stations a little more protected, a little better looking, and a little more maintenance-free to make their days a little easier. 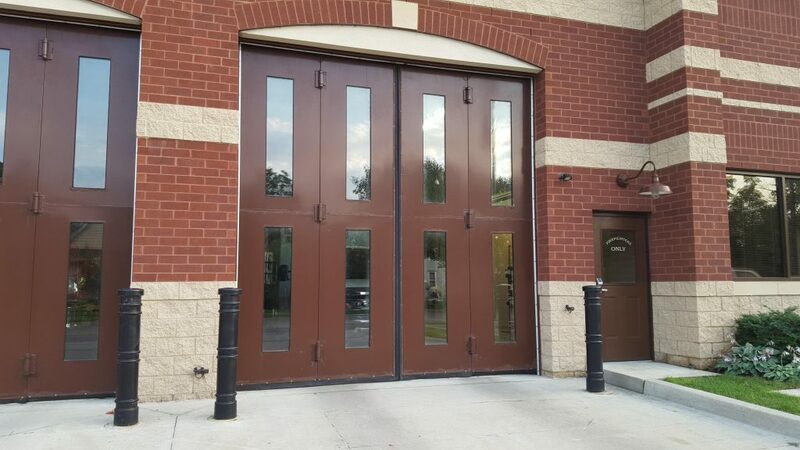 For more information on any of our products that can help improve fire stations around the country, please contact Ideal Shield today at 866-825-8659. Our experienced and knowledgeable sales team is here to help!